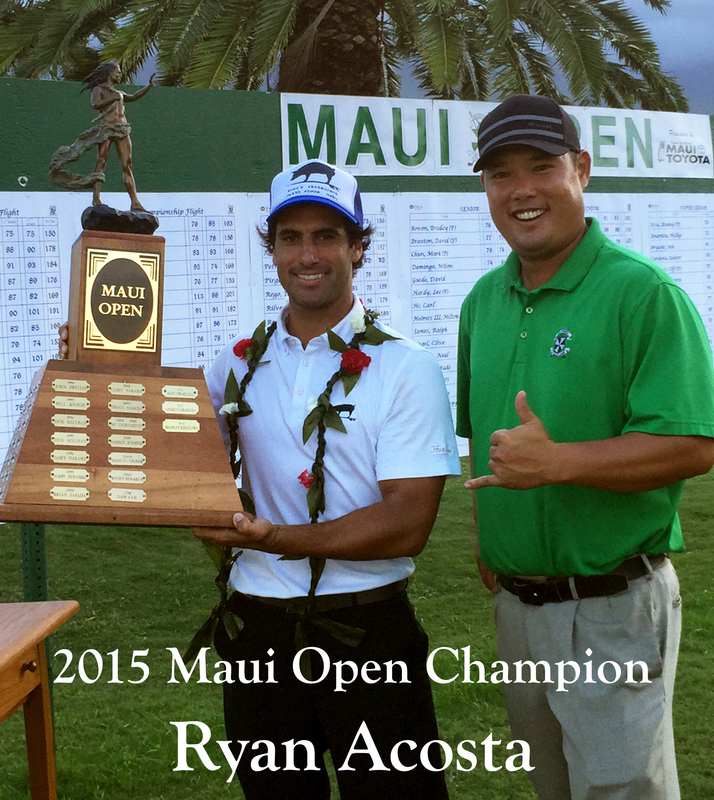 Shooting 75 – 75 — 150 in strong winds, Ryan wins the 2015 Maui Open! Congrats on the win. Great job. Hope there are many more in the future. Congratulations bud…..it’s mickey…..good luck in this weekend’s tournament contact me sometime and we will catch up still waiting to carry that bag…..